Hi loves! I can't believe our baby boy is now a "school boy". His first day of school went well than expected. He proved us wrong by not crying when we dropped him off. He however had a look of “why are you leaving me” on his face as we exited the classroom. On the other hand, it was very tough on me and I practically watched the clock and counted until it was pick up time. I am hoping for a full adjustment in a week or so. I thank you all for the encouragement on Instagram and twitter with regards to Nolan's first day of school. 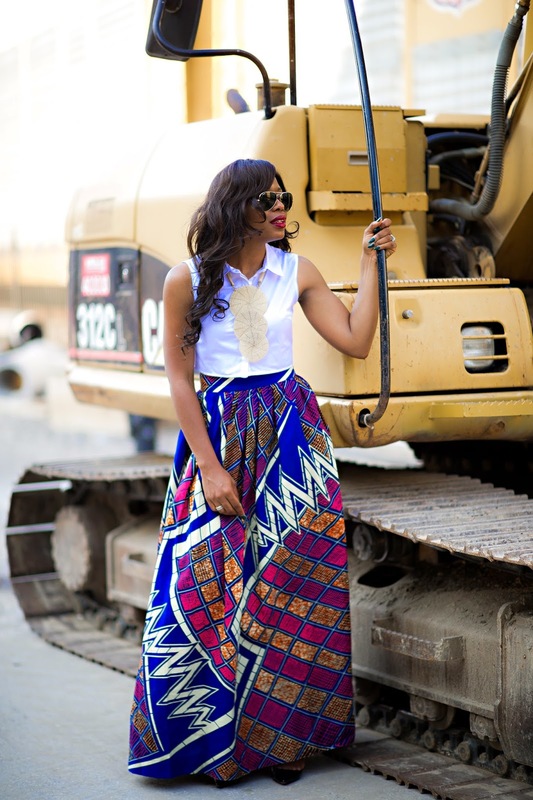 I am wearing a beautiful African print skirt in this post. The color structure and pattern is simply gorgeous. 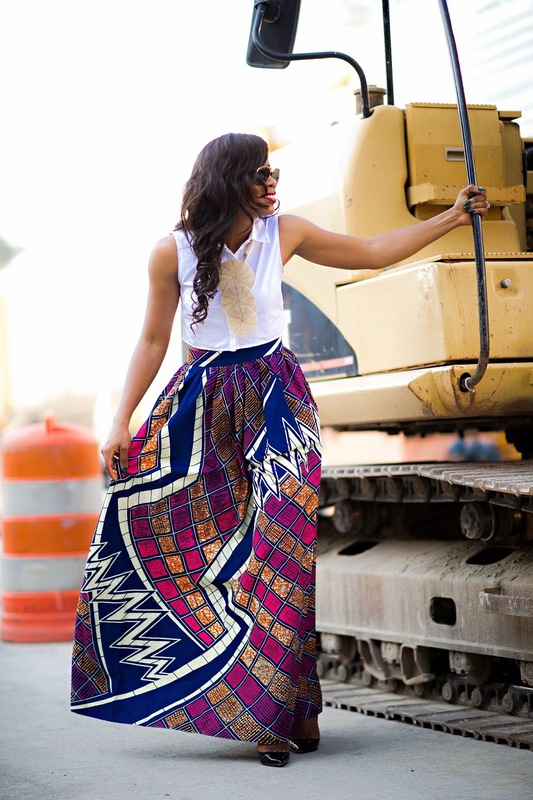 The pop of blue and pink on the skirt caught my attention and the intricate pattern wowed me...definitely a fun piece to wear. 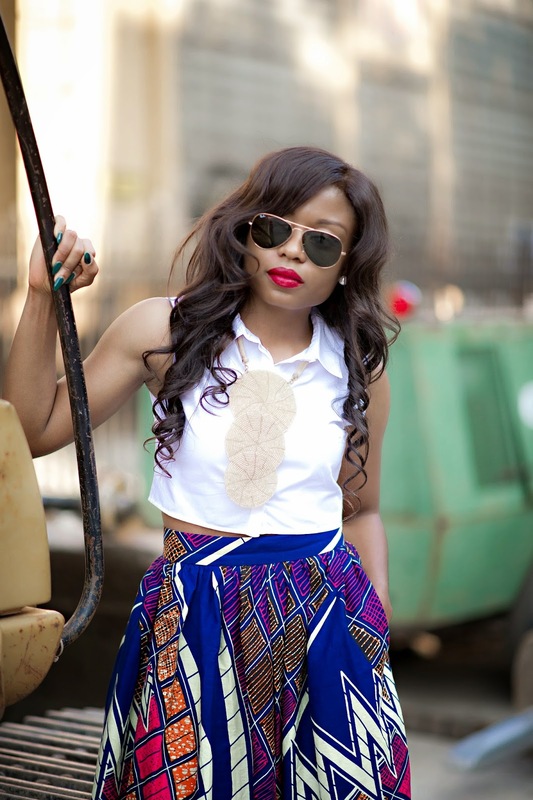 I paired with a white crop top and completed the look with a Soko African grafted necklace. 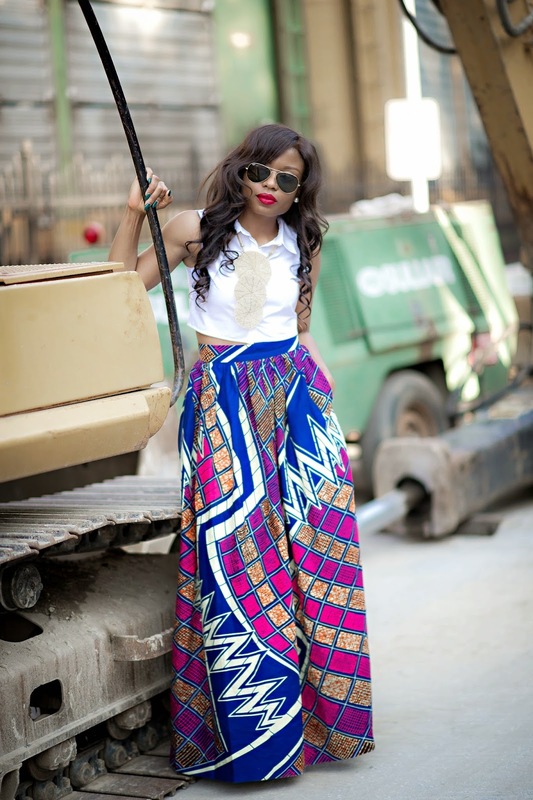 Love this skirt Stella! But the neck piece steals my heart:-) . You look amazing as always. Aaawww, i am so glad Nolan didn't cry. He's indeed a brave boy. 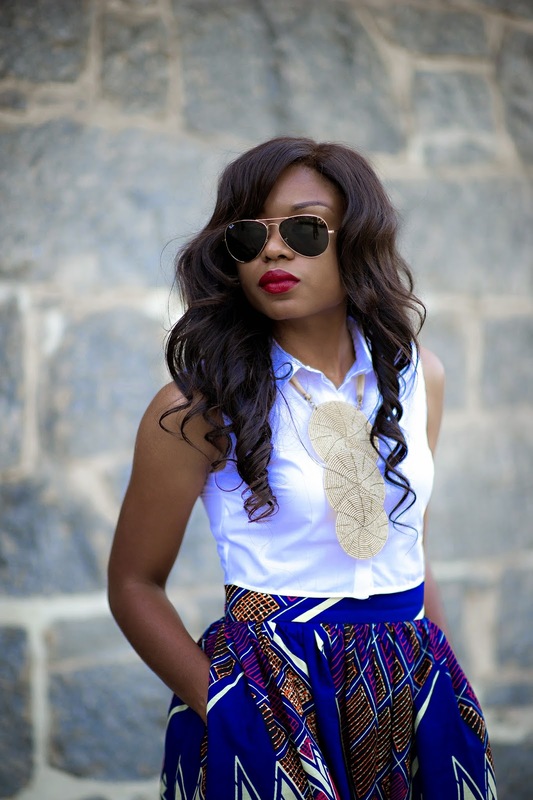 Your outfit is beautiful, the pockets in the skirt is perfect and i'm gushing over the necklace. Everything is lovely. 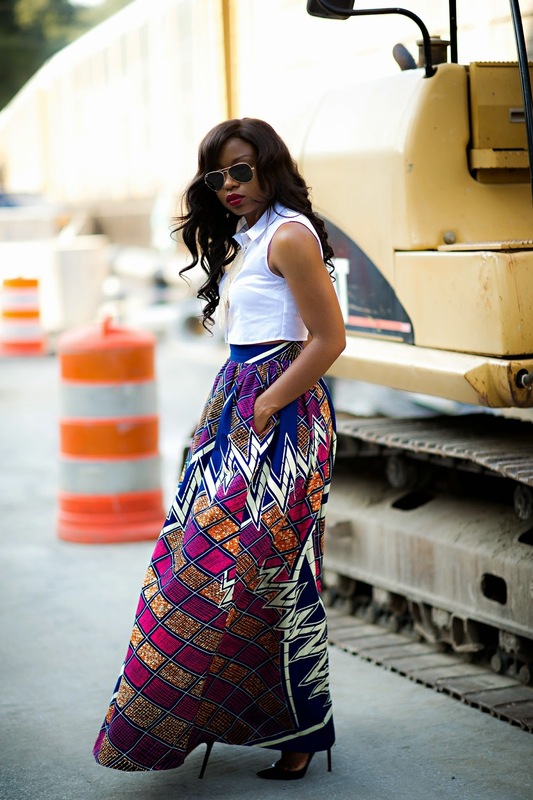 I love this Ankara print skirt!!! So fabulous! 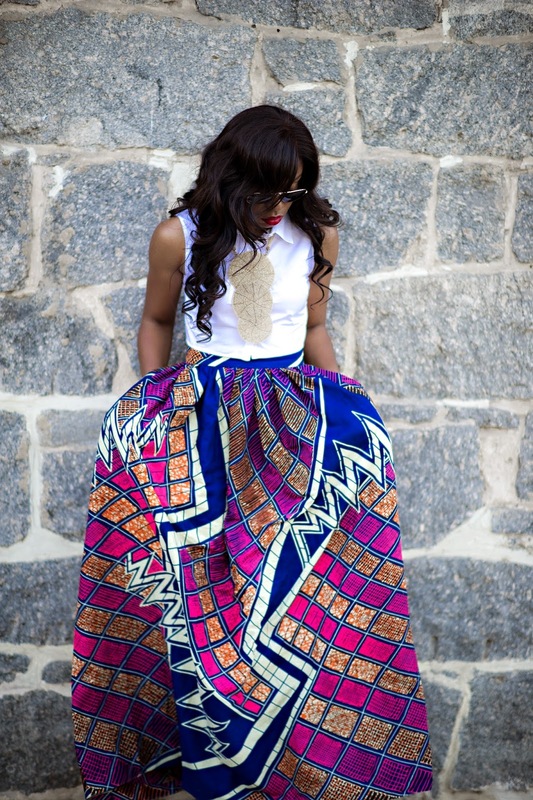 My kind of skirt , love the whole outfit. Superbe Jupe !! Avec ce rouge à Lèvres...Waouw !! I love your style. 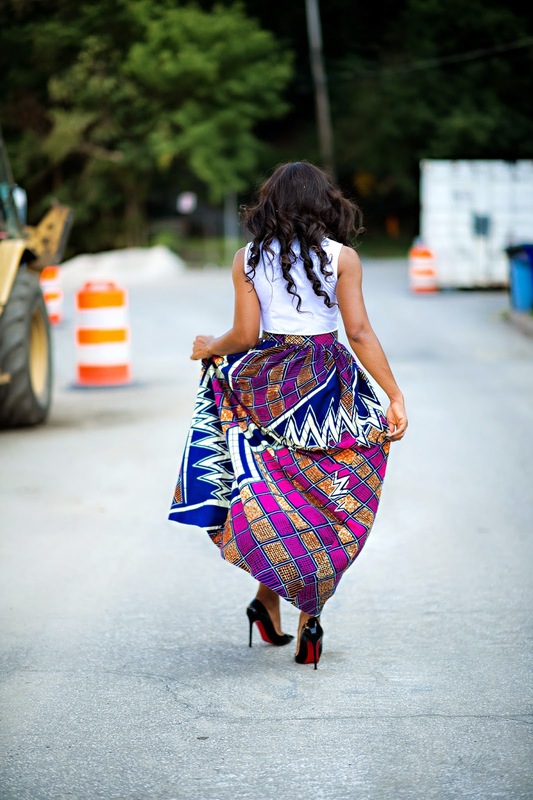 That skirt is super lovely. I'm going to continue your blog because you have a style that love me. That skirt is absolutely FANTASTIC!!! !